Many persons from around the world enjoy visiting Rosslyn. 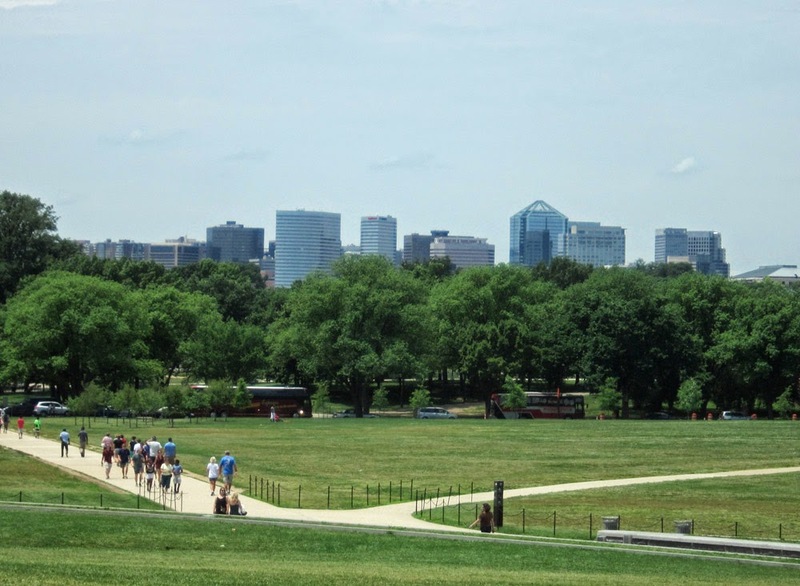 If you are entertaining visitors to Rosslyn, encourage them to take a short trip across the Potomac to get a spectacular view of the Rosslyn skyline from the national mall. The new 1802 N. Moore St. tower is many generations forward from the Washington Monument. Rosslyn is the new pinnacle of America.